Victoria Falls are the largest water falls in the world based on a combined width of 5,604 ft (1,708m) and height of 354 ft (108m) making it the largest sheet of falling water in the world. It is second in size only to Brazil’s and Argentina’s Iguazu Falls. Victoria Falls are roughly twice the height of North America’s Niagara Falls and over twice the width of its Horseshoe Falls. The falls known as ‘Tokaleya Tonga’ or, “The Smoke that Thunders”, border between Zambia and Zimbabwe. David Livingstone, the Scottish missionary and explorer is believed to be the first European to view Victoria Falls on November 16, 1855. Now you have a chance to follow in his footsteps. After the Botswana Okavango safari, you are welcome to join us in Zimbabwe. We will enjoy three nights and two full days in the town of Victoria Falls lying on the southern bank of the Zambezi River. There you will have time to relax, explore both the Zambian and the Zimbabwean sides of the falls, shop for African handicrafts and carvings. Zimbabwe has been home to the finest carvings in Africa sculpted by generations of master carvers. 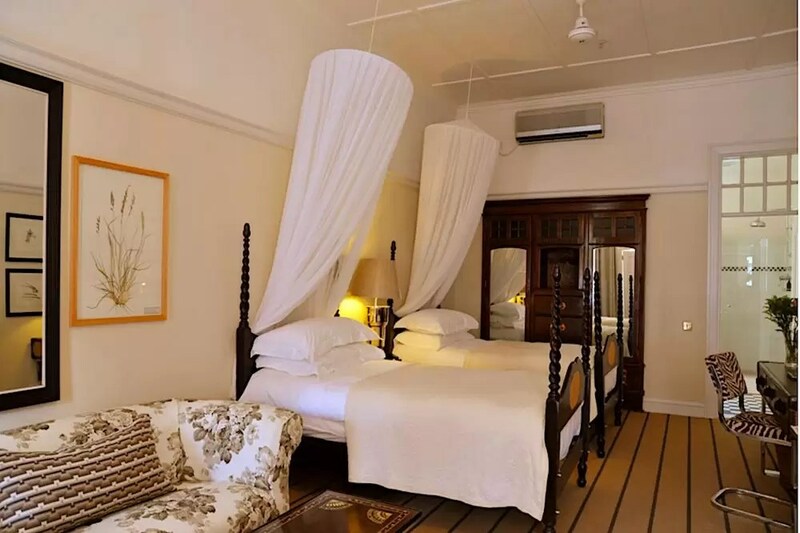 You will be staying at the Victoria Falls Hotel, built in 1904, and only a 10-minute walk from the falls by a private path. On your first morning, you will have time to enjoy the falls at your leisure in the morning. After lunch, you can walk into the town and explore ‘Elephant’s Walk’ and a large outdoor curio market for shopping. 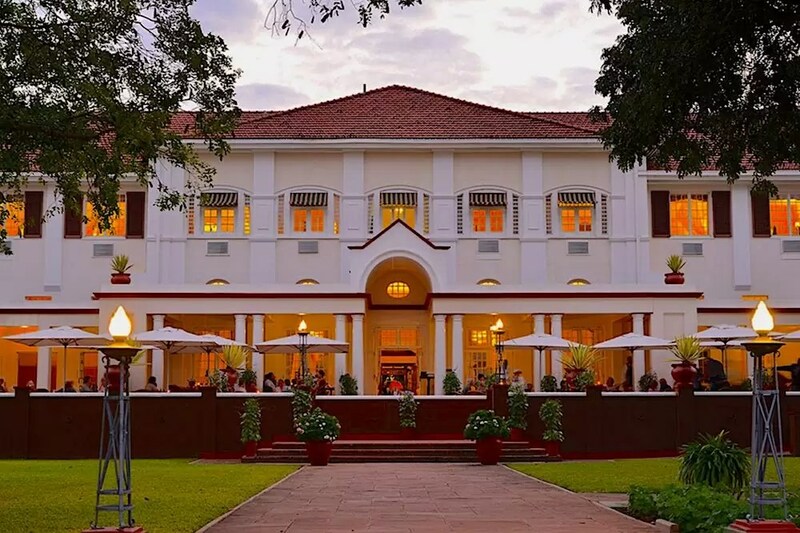 Return to our colonial hotel to enjoy Afternoon Tea on the lovely terrace while the 'Smoke that Thunders' fills the sky with mist and your ears with the knowledge that you are still in Africa. We will then be picked up by late afternoon and transported to a river boat where we will take a sunset cruise on the great Zambezi river, the fourth longest river in Africa after the Nile, Congo and Niger rivers. The Zambezi evokes mystery and excitement as it is the least explored river. Few rivers in the world have remained as pristine and wild. We will sip our drinks while hippos bellow and crocodiles float about us. At the same time, we will watch the African sun set on the Zambezi. The following morning after breakfast, we have a busy day planned. We will be picked up bright and early and taken out into the bush. We will have a morning safari but instead of game drive vehicles, we will venture into the bush on elephant-back. For the next few hours, we will be in the presence of the largest land mammals in the world. After we have explored the bush veld from a much “higher” perspective, we will then get to spend time with these giants while feeding and playing with them. We will see how gentle and intelligent they are as we look into their eyes beneath long eyelashes. We will be able to feel their leathery skin, and soft tongues. This will be a cherished African memory for life. We will return to the hotel for lunch and a few hours of leisure. Shortly after lunch, we will be picked up again and taken to a landing pad to embark upon our last great African adventure - we will soar above Victoria Falls by helicopter. Not only will we be able to take in the size and power of one of the seven Natural Wonders of the World, but we will get our final glimpse of African wildlife as we fly out into the bush looking for herds of elephants and giraffe. We can start to whisper our “goodbyes” to Mother Africa - at least until we return. 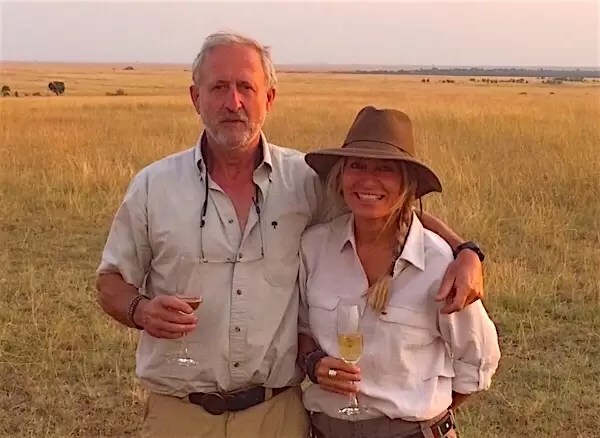 When we finally do return to the hotel, we must wash off the last remnants of the African bush, and get ready for one more unforgettable African experience. 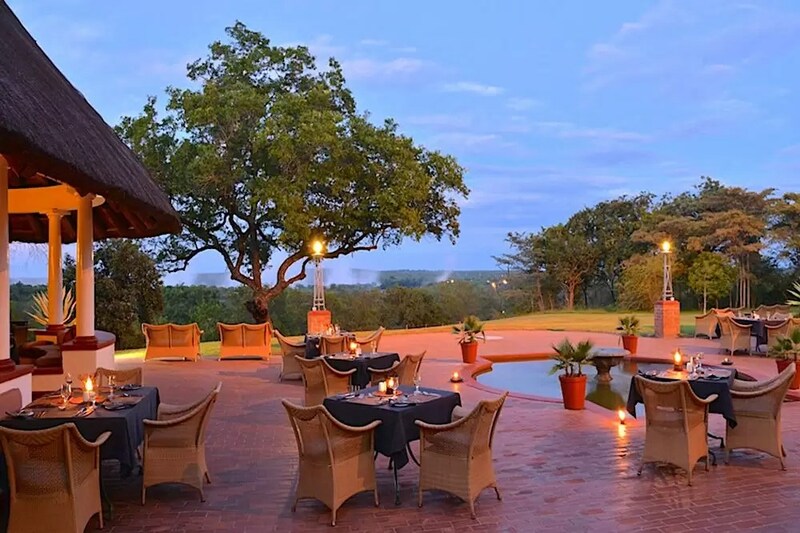 We will spend our final night in Africa enjoying traditional Zimbabwean cuisine at ‘The Boma’. You can try various local meats cooked on a ‘braii’ and challenge your spirit of adventure by daring to eat a Mopani worm - delicacy of the San Bushmen. Please know that this is a place for tourists - not locals - but it is well worth the experience while in Africa. We have always enjoyed eating here. 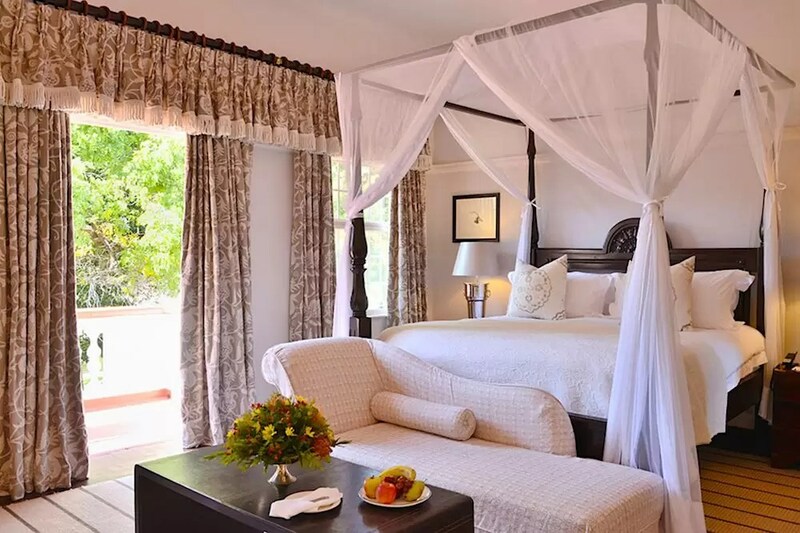 We think that this three night addition in Zimbabwe is the perfect way to end your southern African safari. After our morning safari, instead of driving back to Maun and spending our last night at the Thamalakane River Lodge, we will be dropped off at the airstrip in Savuti where we will take a chartered flight to Kasane, Botswana. Depending on the flight schedule, we may have additional stops at other camps. When we arrive in Kasane, we will then be transported by road to Victoria Falls, Zimbabwe. The drive will take approximately two hours. We will go through the border and present our passports with Zimbabwean visas to immigration and customs. 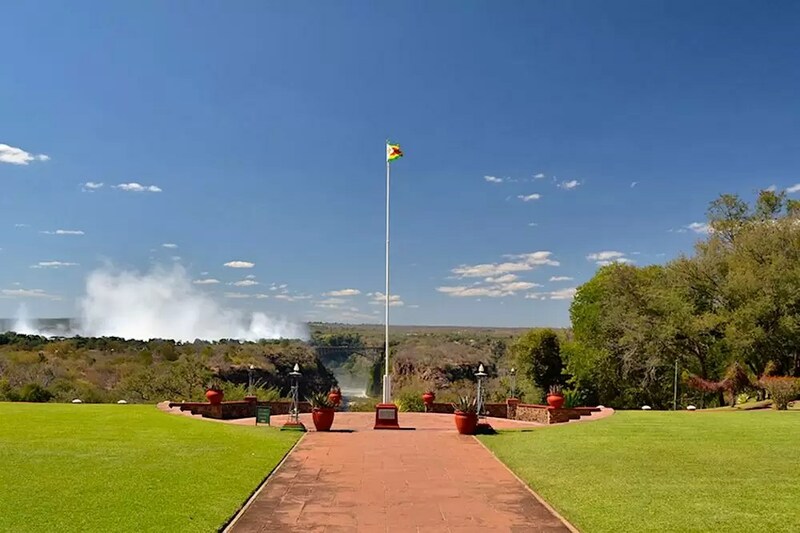 After entering Zimbabwe, we will be taken directly to the elegant Victoria Falls Hotel, steeped in history and one of the oldest hotels in Africa. We will spend the next three nights here while we explore Victoria Falls. We will have an evening to relax and settle into our hotel. Overnight Victoria Falls Hotel, Breakfast included, Lunch/Dinner on your own. Full day in Victoria Falls at your own leisure to explore the falls, shop,have Afternoon Tea and enjoy the hotel. In the early evening, we will enjoy a sunset cruise on the Zambezi River. After an early breakfast, we will be picked up at 6:15am and begin our morning adventure with African elephants. We will return to the hotel by 10:00am for some time to relax and get cleaned up for lunch. When we are finished with lunch, we will be transported (around 2:30pm) to a helicopter pad for an afternoon flight over Victoria Falls. When we return from our flight, we will quickly get cleaned up and make our way to The Boma for our last dinner together in Africa. 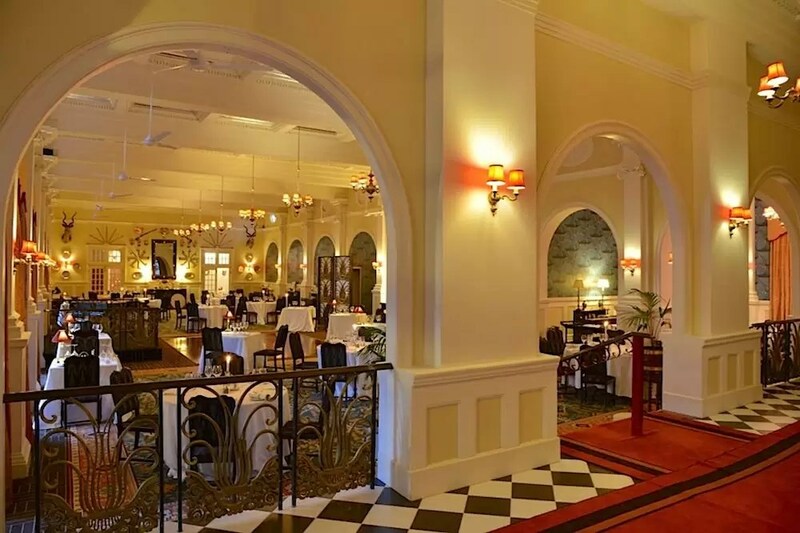 Overnight Victoria Falls Hotel, Breakfast and Dinner included, Lunch is on your own. After being in the bush on a southern African safari, spending the last few days in Zimbabwe's Victoria Falls, is like putting a cherry on the icing of a cake - a lovely and exciting way to end a wildlife safari. The roaring of the falls and the wild animals that surround the falls, remind one of what they are leaving behind - the magic of Africa.